I have had one of these made up as most shows we go to seem to be either cold, windswept, raining or all 3. I am also looking at ordering a second batch of polo shirts. 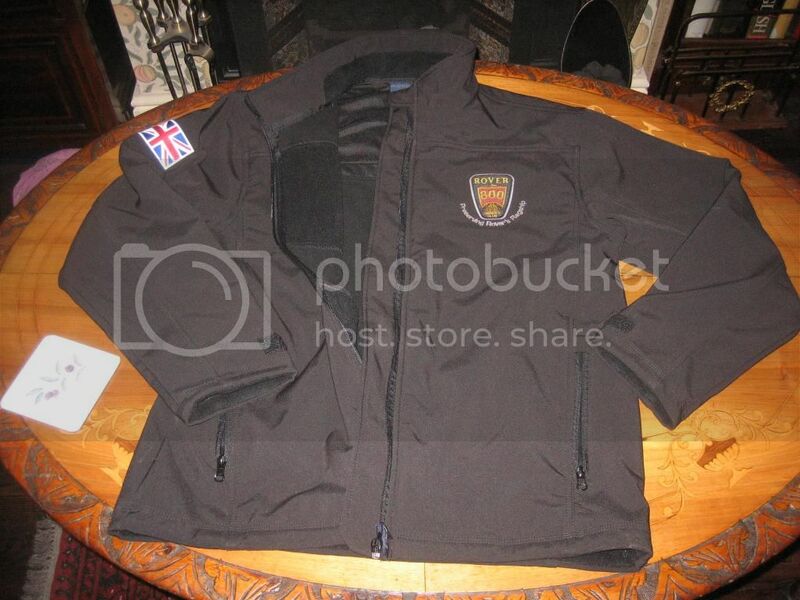 They will all be in black with the logos shown on the fleece. I am just waiting for a shirt to be done. The fleece's are not cheap but are a real quality piece of kit. I wear one under my motorcycle jacket at work and they are super. There are velcro cuffs and adjusters on the bottom with a high coller to keep the wind out. If we were a huge club with thousands of members, then the above would be a lot cheaper as I could buy in bulk but we aren't so I can't. I will post up pictures of my polo shirt once it arrives. Just so I can gauge rough interest can anyone who is seriously interested PM me, rather than lots of seperate postings on this thread. ps I know we are not an "official club" whatever that is but who knows in the future? Plus it looks more professional. Steve I already have your order thanks. G reg Rover 820SE Fastback (my every day runabout) that ran off. Hey Kate.......... how do we buy clothing from you, are you selling via eBay?............. I'm thinking of treating myself! Location: The executive parking bay. I'm interested in one of these, but can I suggest the wording on the back has the forum URL rather than an owners club. kate, can they alter any of the badging/wording, i know its a 2 year old thread bump. What would you want on there Midnite? How did i miss this thread first time round? Are the polo shirts and fleece jacket still available Kate? They can be Dave if I get enough orders. When this first went out I had one person interested (!!!) so didn't bother ordering any more due to lack of interest. Hope you still have my order from Cowley Kate. Sorry didn't get to make Peterborough this year but 2 out of the 3 aint too bad i suppose although i do have to admit Peterborough is my favourite. TDHFastback wrote: They can be Dave if I get enough orders. When this first went out I had one person interested (!!!) so didn't bother ordering any more due to lack of interest. Well count me as a potential order if we can get some more then Kate! Hope you had a safe journey back on Sunday and a nice easy shift at work that night! rovercoup wrote: Hope you still have my order from Cowley Kate. Sorry didn't get to make Peterborough this year but 2 out of the 3 aint too bad i suppose although i do have to admit Peterborough is my favourite. You were missed there Steve, looks like two orders Kate has now for the fleeces - how many is "enough" to get them Kate? I like the look of one of these, and what a delight to see someone who knows where to put an apostrophe! Are you still doing them? Living in New Zealand would make postage a bit expensive, but would probably be worth it. 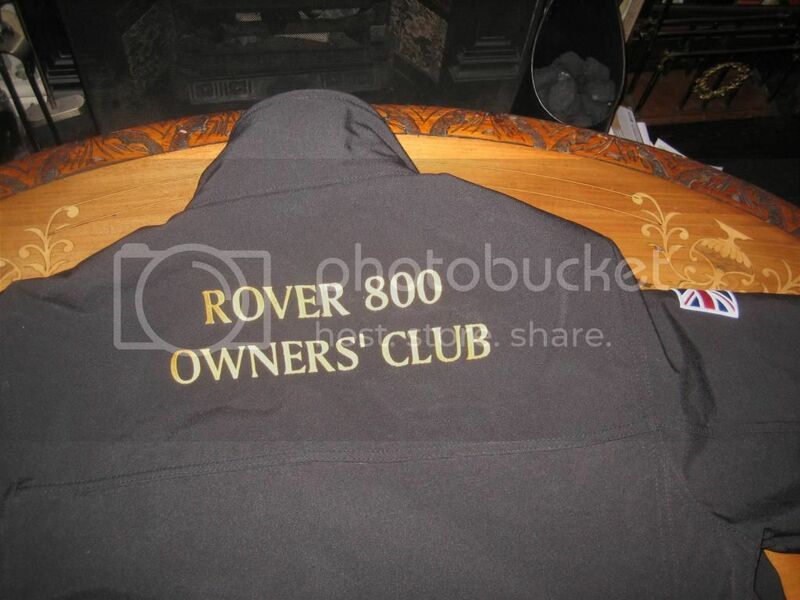 Pat the 800 Owners Club are now doing clothing, Polo shirts and T shirts at the moment, pictures are on the Gaydon Show thread. Fleeces will be available as part of our winter range later in the year, as you say though postage to NZ will probably double the price at least I would think.